Vladimir LaFortune wrote: I just wish they've put funds and effort to develop both Windows and Mac version parallel with their own source codes. That would have required starting from scratch. Assuming the codebase was good when BMD took over, starting from scratch rather than porting the platform-specific code to OSX would involve a lot more effort. alan bovine wrote: Ok this thread is now de-railing from its original topic; which is about fusion's support. Not development, not integration with other tools or even current state. But about its support. For me best thing about this thread is the off topic side of it. Thank you for starting it. Not at all. They DID start from scratch, that's the issue. Having a smaller codebase required the old stuff (that worked fine for the most part) to be replaced with new stuff (that didn't). Making a Linux version was very important, sure, but it really messed up the existing user base by making the software less stable. Running it all under the same codebase will eventually make support easier, but right now it made it harder because so many existing customers won't touch the newer versions. Chad Capeland wrote: Not at all. They DID start from scratch, that's the issue. Having a smaller codebase required the old stuff (that worked fine for the most part) to be replaced with new stuff (that didn't). Making a Linux version was very important, sure, but it really messed up the existing user base by making the software less stable. Running it all under the same codebase will eventually make support easier, but right now it made it harder because so many existing customers won't touch the newer versions. Are you sure about that? I know it took a year to get the port done, but unless BMD got the original developers to stay on board and basically re-create what they'd already created, it's hard to believe that they started from scratch and still got it done that quickly. And yet, that's pretty much what happened as far as we know. Yeah, the development staff for Fusion are bizarrely stable. I don't pretend to understand it, I just enjoy it. Their ability to maintain a stable lineup is certainly unusual and may have been one of the intangibles that Blackmagic wanted. Also, I wouldn't say it got done quickly, either. Like I said, some users are still waiting for it to get finished. It's a mountain of tasks that are largely thankless (at least from Windows users). Fusion 9 was an insane release as far as content goes, so there's shiny new stuff mixed in with backfilling. But to Alan's point, Blackmagic isn't delivering all that goodness to users through support and client development. Chad Capeland wrote: Yeah, the development staff for Fusion are bizarrely stable. I don't pretend to understand it, I just enjoy it. Their ability to maintain a stable lineup is certainly unusual and may have been one of the intangibles that Blackmagic wanted. That is VERY rare. Remember Lotus? Or the StrongARM? I haven't been using it as much as I'd like, but I've been very impressed with it. I know the mac port has been a huge effort, but you're right; BMD is active on ever Resolve oriented forum I've seen, and nigh silent on the Fusion fora, which is odd. And not a good odd. I guess it's another thing to chat with BMD about if I get a chance to do an interview with them at NAB or CineGear. I suggest BMD hire Vito LaManna (sorry if I misspelled your name) who is creating and posting some fun, very informative Fusion tutorials on his Patreon page. Maybe he can be the Andrew Kramer of Fusion. Luca Di Gioacchino wrote: I suggest BMD hire Vito LaManna (sorry if I misspelled your name) who is creating and posting some fun, very informative Fusion tutorials on his Patreon page. Maybe he can be the Andrew Kramer of Fusion. I also find his tutorials extremely motivating. For non-experts many of the tools and their proper use are hard to learn. Vito picks you up in the middle of the time consuming trial and error struggle you unavoidably suffer at the present state of the BMD support. Though lacking insight on Blackmagic’s strategy, the solution seams easy for me. I would simplify and say there is three main levels of users: The ones that do fun stuff with no payment, the ones that uses Fusion in a basic manner in minor projects and lastly the ones using Fusion in a professional manner in their daily work as a key ingredient of their software setup. These three groups have fundamentally different expectations and demands on their work tools! As for myself, have used Fusion since 1.1. For me Fusion is a vital part in my work process. I use it in 99% of my project and my company could not deliver projects without it. I imagine others, in the same category as I are baffled of the program pricing. Don’t get me wrong, I don’t enjoy spending money, but I need my work tools to work without hiccups! Most importantly, I HAVE NO PROBLEM PAYING FOR IT! For me the unwanted costs come when I’m stuck and can’t deliver on time. So, my suggestion to Blackmagic is: Continue to offer the basic version for free, charge more for the Studio version and start a support function you charge for. Use the money to develop more stable software! I share the sentiment of many here in that I would not mind paying more if I had the chance to report bugs and get proper feedback in a timely fashion in return. So far, all my questions here on the forum went unanswered, which is what worries me most, besides lacking stability (including v9.02 - will there be a 9.03?). On top of that, each post I make takes three days before it appears in the forum after having been approved by a moderator (and then inevitably makes its first appearance on page 3 at best, which hardly ne1 ever reads). In summary, I am thankful for this thread. It shows me that I'm not the only one feeling that something doesn't add up. The port to Linux was a good and important move, and the new tools in Fu9 are very much welcome, which in summary suggest serious development efforts with a long term strategy, but the company's lack of response to users on the forum more than eliminate those positive impressions for me. As a very technically minded user I was even considering developing software for Fusion, but given my recent experiences I feel insecure and will hold it off until I manage to see a clearer picture of where all this is going. Here is hope that some representative will step up and explain a few things, hopefully soon. PS: Buying Fusion was a similarly frustrating experience. Half the shops the BMD homepages links to either don't list the product, or are not longer live. Those that do exist and list the product hardly know anything about the product (my reseller I ended up buying from did not even know at first that he would have to ship a physical dongle to me, which on top of things he did not have on stock, contrary to what his shop system told me ("On stock" is somewhat hard to misinterpret I'd say)). From order to delivery it took two weeks before I could work with the software - something that could easily be avoided and reduced to minutes if the software was sold directly from their homepage and licensable via internet, which has become the de facto standard these days (Houdini & Redshift being the best exampels of many), or should at least be mentioned or explained _before_ you make the purchase! I remember having been so upset that I even took the time to write a letter to the EMEA sales representative (who turned out to be a completely different guy than the one mentioned on their homepage for that area - out of date info?) in the single most neutral and informative way imaginable to explain my negative experiences, and actually got an answer after a week, which boiled down to a kind "Thanks a lot for the feedback, we are sorry for the hassle", for whatever it's worth. I'm merely adding this to underline that I too feel that BMD does either not quite understand what they have in Fusion (hopefully not to the same extent to which Autodesk never understood what they had in Softimage), or at least have difficulties in understanding that making and selling hardware and making and selling software are two fundamentally different things these days. Last edited by Stefan Kubicek on Fri Feb 23, 2018 12:10 am, edited 2 times in total. That concerned me, since I went hunting for your previous questions. They were both about BMD's future development plans. BMD's corporate policy seems to be (I have no direct knowledge of this—it's just gleaned from interactions with staff and observed behavior) that they never release information about what they're working on or planned new features. So even if someone who knew the answer read your question (which is, of course, unlikely—thus this topic), they couldn't have answered. That is true, BMD is notorious for being secretive about its development plans. It's usually quite a surprise to find out what the company's been up to when we get to see them, but it also usually reflects a lot of customer feedback. Fusion's been a bit of an odd duck that way; while I'm sure the team's hard at work on SOMETHING Fusion-related, it's anybody's guess what that is, though we'll probably get to find out more at NAB. BMD's PR rep contacted me about interviewing a BMD rep at NAB; I'll try to mine them for info about Fusion, Resolve, and Fairlight, but I don't expect much that won't already be public knowledge by then, since half the reporters at NAB will probably be at the press conference at NAB. But even if they announce Fuzionmonger 12.5 Mini Studio Broadcast Pro at NAB, that doesn't address the support issues. That's the stuff that won't be in a press release, and you won't get anyone to say anything about support issues on the record. You may even have a hard time finding anyone at NAB who's even aware of the issues. I don't doubt that everyone at BMD is decent and hard working and has the best intentions, I just wonder if they are even aware or if they are if they have any plan on what to do. Or BMD might surprise me; they've done it before. Chad Capeland wrote: But even if they announce Fuzionmonger 12.5 Mini Studio Broadcast Pro at NAB, that doesn't address the support issues. That's the stuff that won't be in a press release, and you won't get anyone to say anything about support issues on the record. You may even have a hard time finding anyone at NAB who's even aware of the issues. I don't doubt that everyone at BMD is decent and hard working and has the best intentions, I just wonder if they are even aware or if they are if they have any plan on what to do. Or BMD might surprise me; they've done it before. Agreed. It is another reason that I'm hoping that Fusion is getting the Fairlight treatment, since the Resolve team is providing impressive support. Yes, I understand that there are things they would not want to talk about beforehand, which is why I wrote in my second attempt that they could even tell me exactly that if nothing else -> Crickets. I'm anxious to switch to Fusion, but two out of three of my Resolve workstations won't run Fusion, and the third is crashy. Lack of support led me to find Natron. That's strange (I'm not saying incorrect) but Resolve is much more 'power hungry' than Fusion. I used to run Fusion on a PII-233 Mhz and it worked, I can't imagine a situation where Resolve *would* and Fusion *wouldn't* run. It's not about "power", it crashes on a trap "divide error". Be assured we are reading the forums and we can understand there is a little frustration here as we haven’t really commented. That’s primarily because we have some positive news coming. Please bear with us as we have details to iron out. Also great to see a few comments from Blackmagic reps elsewhere on this forum. Joshua, any progress on this? So what is this great news? It has been a while since you announced it. Oh come on BMD, just do your job and address the questions being asked in here. Do you even care about Fusion? Or do you just want to strip its tech' and put it in Resolve? Concrete answers, please. It is about time. Kays Alatrakchi wrote: In my opinion, VideoCopilot single handedly put Aftereffects on the map in ways that Adobe couldn't have done by itself. Myself and just about every colleague of mine started using AE by following Andrew Kramer's tutorials which, were aimed at noobs, but delivered astounding results. I have been hoping for a Fusion equivalent of Andrew Kramer to rise up, but aside from a handful of that type of tutorials, nobody has come even close to taking on that role. I also have fond memories of learning AE from Video Copilot. After 15, all Resolve users will have Fusion. Kramer said the call he got to do the Star Trek movie was largely the result of VC raising his profile over the years. Sounds like there's an opportunity here given that Fusion is about to get a lot more attention. I would now like to hear an official statement about the future of fusion as a standalone software! I would also like to hear something, I have Resolve and Fusion dongles, if there is no need to keep the Fusion dongle because the standalone Fusion will disappear I would like to know. Or make both Resolve and Fusion work with Resolve, that way I could at least try to resell a dongle. If Fusion stand alone will stay, will it have more/better/newer features that the pane in Resolve? Thierry Bergeron wrote: I would also like to hear something, I have Resolve and Fusion dongles, if there is no need to keep the Fusion dongle because the standalone Fusion will disappear I would like to know. Or make both Resolve and Fusion work with Resolve, that way I could at least try to resell a dongle. michael vorberg wrote: I would now like to hear an official statement about the future of fusion as a standalone software! I don't think that it is. You can of course just use the Resolve timeline to setup a Fusion composite, and I think it still has the usual loaders and savers, so if you ignore the rest of the tabs and set the Fusion tab as your default tab, then it's nearly the same, though it looks nicer now and being able to use the Resolve deliver interface is IMO an improvement. While I certainly have my own laundry list of frustrations when it comes to software manufacturers, I thought I’d voice what I’m certain will be an unpopular sentiment. Reality checks often are. Since the 80s, the single most expensive aspect of running a software company has been tech support. I’ve seen more developers than I can count close the doors because this cost ate up all their profits. (Full disclosure: I’ve been a professional developer for three decades). Internet forums were a dream come true for the software world. People voluntarily give their personal data to Facebook for free, who in turn makes money with it. But you don’t get a vote on how the website is designed. Google does the same with your YouTube videos. I'll bet you use the self checkout line at the grocery store, too. Why on earth would software companies spend money hiring support people when they can get the users to do it for free? I love tech. It pays my bills. But there are aspects of the Internet that certainly take the shine off of it. You now live in an age of “The customer is the product.” That has a profound effect on corporate behavior. You can get angry and take your business elsewhere, but all that will accomplish is logging into a different user forum to complain. Self service is the standard business model for all tech companies. This is how the world works now. You can make as much noise as you like but you’re really just barking at the moon. No CEO is going to pour money into hiring support staff when the customer is willing to do it for free. If he did, he’d be fired within a year. BMD is no exception. While I certainly respect the perspective and sentiments, threads like these are really just an excuse for people to vent. They change nothing. * Support will always be by volunteers. It’s how things are done today. * BMD participation, as with Resolve, will always be at best minimal. That’s why they have a forum, so you can handle it yourself. * They’re not going to spend money on training materials. They’re not in the training business. * Software companies rarely if ever discuss long term ideas with users. Even when they do, I promise you it’s still ignored in the dev meetings - no one has a greater say than the marketing guys, because they generate revenue. * Documentation costs money, and the sense in the dev business is that no one reads the manual anyway, so why spend any more money than you have to? That said, to offer something constructive, I’ll give you two words: Andrew Kramer. As has been mentioned, we all know him and have seen the success of Video Copilot. They eventually went on to sell products but in the beginning there was still a value for him. It made him a well-known and respected name in the AE community, and you can be sure he got more work because of it. Complaining on a thread will have absolutely zero effect. If you want to make a difference and take Fusion support to the next level, do what Kramer did. Create video tutorials. Launch a website. Become an authoritative resource for all things Fusion. The community will get better support, and your career will benefit. Want training materials? Create them yourself. If they’re good, people will pay you for training. Yeah, I know, this isn’t going to change anyone’s mind. BMD should pay to support their products because, you know, it’s not fair that we should have to do it for free. BMD should run their company in a less profitable manner than their competition. Sure, there are the occasional companies who actually do spend money on support. Watch their trajectory over a few years and you’ll see one of two consistent trends – either they move to the customers supporting themselves, or they go out of business. And while this last point is off topic I’ll offer it anyway. Every Internet support forum on the planet complains that the company doesn’t spend enough money hiring support people. Right after they complain that their bugs or favorite features aren’t being addressed quickly enough. Support staff costs money. Developers cost money. And there’s only so much money to go around. Would you rather BMD hire more developers to address your needs, or fire a few devs to hire support staff instead? It really is a zero sum game, but that’s just life in the business world. Chris Duncan wrote: * Documentation costs money, and the sense in the dev business is that no one reads the manual anyway, so why spend any more money than you have to? I agree with a lot of what you have written except maybe this. I refer to documentation all the time and also read the manual(s) when I first get new software. I do this for all the software I use. Not quiet sure what realistic alternative there is? Right now the only thing I want to know is if Fusion standalone is getting dropped or if I need to start looking at other alternatives to switch to in the next year. I realise that this thread is about much more than that though. I find it so odd for Blackmagic not to release any sort of official statement about this? robert_capper wrote: I agree with a lot of what you have written except maybe this. I refer to documentation all the time and also read the manual(s) when I first get new software. Me, too. But then, I'm a geek. Many people just hit Google to get someone to do the work for them rather than RTFM. BMD is in the middle of a trade show so I'm not surprised about the statement. Shows are crazy time, I would imagine after the dust settles they'll be doing more follow up. It's not like they're actively trying to freak people out. I'm willing to bet they're just figuring it out as they go along. That's what happens in most shops. What Chris said is spot on. I am also a "almost 30 year" developer.. good God that is nuts. But anyway, today, many of the software pieces I use and rely on are mostly community supported with some minimal documentation/getting started support to some degree. As a developer a lot of the code today is out on bitbucket or github with simple READMEs as your only source short of community/forum help. I also really started getting in to after effects because of Kramer, and like most of you, have also been hoping to find a Kramer clone for Fusion. There is one guy that is close.. forget his name. Has a bit of humor sometimes, and good tutorials. There are many others with good tutorials, but Kramers tone of voice, humor and fun tutorials that also were not only very good but matched a lot of what we see in movies and tv today.. is why I feel he got a huge following and is so popular. The guy makes a living on this now and rightfully so. So yah, I do hope someone pops up like him to lead Fusion in the same direction because from what I have read here and on other forums from some of you, Fusion is every bit as capable as AE, Nuke, etc for VFX, and in many ways is more powerful. As for the integrated vs stand alone debate.. I too am wondering. I feel like BM totally listened to my requests a year ago.. I am pure Resolve (and Fusion is more of a fun title generator thingy for me at this point as I dont use either for day job/money.. hobbyist). I felt with the addition of audio, the only thing they needed to do was add Fusion and keep it all in one application. Boom..they did it. Likewise, I asked for a new small form factor 4K camera with raw recording.. and boy did they deliver (I pre-ordered 3 seconds after reading the feature list). I am also very curious if they do keep a standalone version of fusion going, if you have to pay $300 for that still.. or do you now only pay $300 one time and you can run fusion stand alone, or with resolve? Back to the point about supporting Fusion though. As Chris said, I dont think BMD is going to hire a team of support people to partrol the forums and answer tons of questions every day. What would be fantastic and would really help is if they promoted those users that are experts.. maybe offer them gear or something else in a sort of payment for helping support the product on the forums. But also, promote sites that have tutorials, details, etc. In other words, they should have some sort of Fusion page (and Resolve for that matter) that can link to tutorials, shows, movies/tv show examples using Fusion, and more. In that way, they at least take on the task of organizing links to those helping/using the product to make it easier to find the help and tutorials we need. Camera plug... if you havent seen it yet, and have been considering a video camera (naturally most of you no doubt know about the BM camera tech... but just in case...), think of this. The new 4K camera is essentially a better (time will tell, but so far specs seem to indicate this) Panny GH5S.. same sensor specs, but also records in RAW, has more media options, a bigger touch screen and better OS, for about 1/2 the price. But wait.. that price gets you Resolve.. so really you are paying the same price as the HD camera today, for a much better camera. However.. when you factor in you also now have the $300 studio version of Fusion built in.. you really are paying $300 less than the current HD camera. So.. even if you may not be considering a camera.. but you plan to buy resolve and fusion.. it would be a far better deal to buy the new camera and get the resolve/fusion with it. You were going to pay $600 last year for the two of them.. now $300... so you get a crazy good camera for $700 or $1000 depending on how you look at it. You brought up a good point about cost. If a standalone is still around, it wouldn't make sense to buy a standalone Fusion for the same price as Resolve Studio which comes with Fusion? Maybe Resolve has a Fusion "Lite"? Has anyone tested it yet to see if it has Fusion Studio built in? Are many of the tools missing? Grant mentioned paint and titles in his presentation but nothing about tracking and other tools which are only in Fusion Studio. I know he was limited on time and just wanted to hit the key points which editors were interested in. Just curious if there is a division in features.. hell even in Resolve 15 "Lite" and Resolve 15 "Studio" with a Fusion and a Fusion "Studio"? Ugh. Based on the product comparison manual, that feature split has directly correlated into Resolve/Studio. If you want Fusion Studio, you get Resolve Studio. At least that’s what it looks like to me. Jeff Ha wrote: Has anyone tested it yet to see if it has Fusion Studio built in? Are many of the tools missing? So far, the only nodes I've noticed missing from Resolve's Fusion tab are the Loaders and Savers (necessary for integration with Resolve I/O) and Primatte, for which licensing apparently covers only standalone Fusion. Some Fusion Studio features have been downgraded into Resolve Free features: Planar Tracker, the Optical Flow tools, and external scripting are now available in the free version in Resolve, but they're still Studio features in Fusion 9 stand-alone. Justin Jackson wrote: I am also a "almost 30 year" developer.. good God that is nuts. Last one to check in to the psycho ward buys the beer. Chris and Duncan, I agree with a lot of what you've said, I am an also a software developer turned VFX artist. 2) Fixing faults within the software. I get as frustrated as anyone when people who are using free software and are to lazy to read the manual post questions. I also believe if you are having problems with understanding something or are unable to get something to work, this is not BM's problem (As long as its documented). If something is not documented then its their bad and this becomes a support issue. But I am confused by how a business can sell software for $300, give free updates and offer support (well ... hmmm), in my head everytime I contact support (for clear system faults) that is $50 that is not going on development. BM's support is not great but universally this is the same everywhere, it costs, it never directly creates revenue, but there are pleny of businesses doing this well (Redshift springs to mind). But I think they are missing a trick by not responding to the questions on the forum that only they can answer (non docuemented functionality) as surely one forum question answered will prevent a number of support questions. Also why not put the support tickets (anon) online to help others? I also see that on paper BM prob dont want me as a customer, $300 bucks and having all these problems, I am a liability. But what they don't realise is I am also an asset, I have been recommending Fusion to a lot of people, I have also turned a lot people onto their cameras, Resolve etc.. and own a lot of their hardware. What bothers me is I think this model is going to at some point start failing them, I am getting frustrated, and now considering other options (of which presently there is not a lot). I can't be the only one. I think we all benefit from the fact that BMD is a hardware company. If all they sold was software, I doubt we'd see the feature / price ratio they offer. With software there's never a shortage of problems, but the bang for the buck is pretty decent. I appreciate your thoughts even tho I don't agree with your sentiments; thanks for participating. I believe just having an open discussion about Fusion's shortcomings in the public sphere to be worth having, most of us here are very passionate about Fusion and try our best to push it front and center; where it belongs. I don't believe we are barking at the moon here, if you excuse the emotional and sensational thread title. Since you are de-valuing the need for official support, development transparency and training lets discuss. * Acknowledging and fixing bugs with higher frequency. * Access to developers / support team for implementing Fusion into a larger pipeline. * Guaranteed bug fixes and updates yearly. * Bi-directional dialogue to users/studios about users actual needs vs "We did something; we hope someone uses it"
* Warning about EOL / Transition / Grace period between products or just licensing options for EOL products. In the current state; its impossible to plan/invest/know if Fusion even exists in 10 months, who knows. Support provides if nothing else a sense of security for our investments. And by "our investments" I mean the time we spend building infrastructure, internal training and tools for Fusion. User based support is great, and I'm fairly active myself. But some questions should and can only be answered by officials. 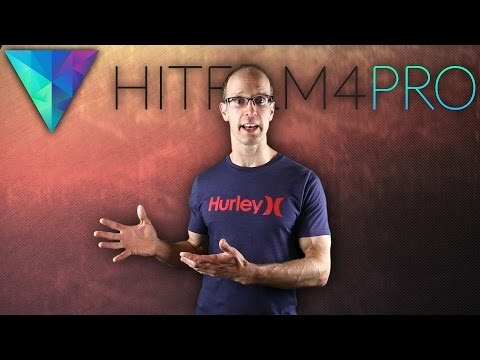 3rd Party support is much needed (and I agree on your Andrew Kramer/Evangalist idea, I am contributing here somewhat myself) The problem with zero official training or feature example videos is that it is never clear on how to use certain tools in the intended manner; Lets look at Fusion 9 and the camera tracker. * Users stopping to use feature. Examples would be to look at any Youtube video featuring the camera tracker where they end up with a good solve, using a proper lens distortion pipeline. Thats 0. If there was a absolute basic level of introductory training on the Camera tracker more people would use it, more sales, not to mention; less repetition of the same questions on the forums that the users now have to answer. Development transparency and access to "road maps"
I don't think anyone expects to hear Grant's 10 year plan, but providing the users/paid customers with a glimpse into the future of a product will help both the developers and users target the needs of this industry. I just spend a good chunk of time building a reviewing toolset for Fusion's Studio Player; only for it to be canned and removed in Resolve 15 (I think? I don't actually know?!). If I had known about this; perhaps I could have even provided a little feedback on what me and my studios needs would be. Instead of literally wasting money. NUKE have been incredibly successful because they've partnered with their customers on features and industry needs, Heck there's even features in NUKE that I helped shape by having a dialogue with them. The Foundry often visits studios with developers to talk about upcoming challenges and how they might be able to jointly solve them, help with integration and future planning. Support is worth paying for; just ask this small company that built their entire business around a FREE product called Redhat Linux. Last edited by alan bovine on Wed Apr 11, 2018 12:38 pm, edited 1 time in total. I'm glad you took my comments in the positive spirit intended. Tomatoes would ruin my favorite t-shirts. I completely agree with you and the others on the importance of the things you've highlighted, both here and in the original post. That said, my perspective is tainted by living in the world of corporate software development for a long time (and even writing a book or two about it). Barking at the moon is just my lighthearted way of saying that no matter how strongly people feel about these things, there's not a snowball's chance in Miami of them actually happening. I'd love to be wrong about this. Sadly, however, the patterns I've seen for decades (and been subjected to on the developer side of the street) don't seem likely to change. And while your thought about paid support is certainly valid, it would simply start a different forum thread titled, "Why do we have to PAY for support???" I know the kind of frustrations everyone's dealing with and I've certainly had a few of my own. My being realistic about the chances of a corporation altering its course based on what users are saying in a support forum is just a way of keeping my blood pressure down. It ain't gonna happen, so I try not to get worked up about it. But then, my career is an exercise in trade offs, compromise and workarounds, so I'm used to playing the hand I'm dealt. By the way, if you ever decide to go the full blown Kramer route, let me know. I'll be the one cheering wildly from the cheap seats. They get exposure on other channels too. For example, this video which has been seen by 125000 people, the vast majority of whom would surely be interested in a free alternative to the Adobe Suite. If a small company like that can do it, I'd think BMD would be able to too. They need to find a way to start the snowball rolling. Getting a buzz going among youtubers would seem to be a cost-effective way of doing it. 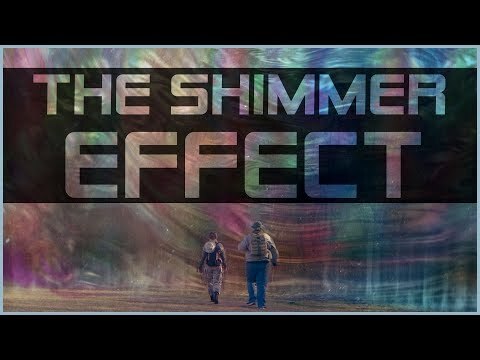 The most popular videos are often ones which recreate effects from Hollywood movies. Perhaps BMD could release a few of their own created with Resolve. There are evangelists out there and BMD needs to spotlight them. Vito is a perfect example. I don't know all the details but I thought something went wrong with the relationship with BMD. Vito developed some great content with his LeBuck's Ring as well as other quick tips on his Patreon. The problem with evangelists is you need an audience. Fusion is still quite small potatoes, going up against Nuke and AE, which have had a huge audience (users) for years. Companies like Foundry, Adobe, SideFX and Pixologic have a huge online presence, broadcasting webinars and live sessions through partner artists/studios through Youtube and Twitch. Even Boris/Mocha has more updated content than Blackmagic. Part of the problem could stem from the fact that BMD seems to consider themselves a hardware company first, and oh by the way, they developed some software but are leaving it up to the users to figure out what they want to use it for. By not really publically committing to their software, it leaves people sticking with their tools. Phil Side wrote: The most popular videos are often ones which recreate effects from Hollywood movies. Perhaps BMD could release a few of their own created with Resolve. I have long said that Andrew Kramer is single-handedly responsible for Aftereffects becoming the de-facto standard for indie filmmakers. To me, the best example of how to handle teaching people how to use your software is SideFX. The splash page of Houdini has direct links to tutorials, their web side and forums directly link to tutorials. I think they understand pretty damn well how critical it is for users to pick up the software as quickly as possible (hint. RTFM is not it). However, there also needs to be a financial incentive for people to make tutorials, and YouTube views ain't it. VideoCopilot, Greyscale Gorilla, The Pixel Lab, Hello Luxx, all those guys sell products and the tutorials are the way to incentivize users to become customers. So either people need to figure out a way to monetize Fusion, or Blackmagic needs to flat out pay some of these guys to generate tutorials that appeal to users.